Saturday 7 May, The Frontroom, Wellington. During the John Butler Trio’s stellar two and half hour performance, you couldn’t help but feel a little teary eyed at how good it was. Beginning with Mystery Man, the group worked through their discography and also showed their political side on tracks like Revolution and Treat Yo Mama. The concert reached several peaks with the audience singing their hardest during Better Than and Used To Get High, but it the instrumental Ocean that was truly magic. Butler showed he might be one of this generation’s best guitarists during the twelve minutes of fervent fingerpicking. 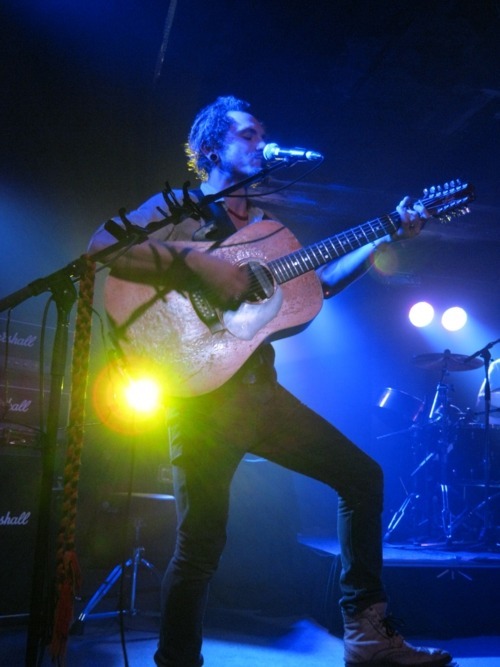 The Australian musician, who started his career busking on the streets of Freemantle, used a new guitar on almost every track as he switched between acoustic, slide and banjo. Band mates Byron Luiters and Nicky Bomba enjoyed themselves as they joked with the sold-out Wellington audience and Butler playfully criticised a fan who had requested Ocean for a second time. Despite an annoying drunk trying his best to ruin the mood by shouting “Christchurch” during song breaks, the intimate atmosphere had everyone captivated. Butler had the crowd under his command, even asking the audience for complete silence during a duet with his wife Danielle Caruana, who played in support act Mama Kin. With so many adored tracks, it’s inevitable a few fan favourites such as Daniella or Media were missed, but those omissions aside, their lengthy set was near perfect. This kind of talent raises the hairs on your neck.